Shabbat is a weekly holiday that is central to Jewish life. As the great writer, Ahad Ha'am observed, "More than the Jewish people has kept the Sabbath, the Sabbath has kept the Jewish people. " In our fast-paced world, Shabbat can be a sanctuary in time where we gift ourselves the gift of rest and renewal on a regular basis. Jews gather to celebrate Shabbat in synagogues on Friday evenings and Saturday [Shabbat] morning and enjoy time together at home with family and friends. Rosh HaShanah is literally the "Head of the Year." It marks the beginning of a ten-day period of prayer, self-examination and repentance called known as the Yamim Noraim [Days of Awe or High Holy Days]. The holiday is celebrated on the first day of the Hebrew month of Tishrei, which due to differences in the solar and lunar calendar, corresponds to September or October on the secular calendar. Customs associated with the holiday include home observance and prayers in the synagogue. Highlights of the holiday include the sounding the shofar [ram's horn], eating a round challah [braided egg-bread] and tasting apples and honey to represent a sweet New Year. Yom Kippur is the holiest day of the Jewish year. The observance is marked by fasting, prayer and repentance. It occurs on the 10th day of Tishrei in the Hebrew calendar as serves as the conclusion of Yamim Nora'im [Days of Awe]. Yom Kippur is a time to dedicate mind, body and spirit to reconcile with God, our fellow human beings and ourselves. Sukkot is one of the festivals of the Jewish calendar. Originally a pilgrimage holiday, Sukkot meaning "booths" or "huts," gives thanks for the fall harvest. It also commemorates the forty years of Jewish wandering in the desert after the giving of the Torah at Mount Sinai. Sukkot is celebrated five days after Yom Kippur on the 15th day of the Hebrew month of Tishrei. During this seven-day [or eight-day] festival, it is customary to build a sukkah or small, temporary booth which is used for eating, entertaining and even sleeping. 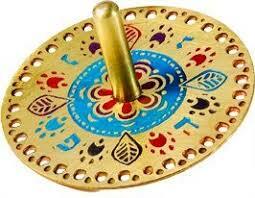 Other names for the festival are Z’man Simchateinu [Season of Our Joy] and Chag HaAsif [Festival of the Ingathering]. 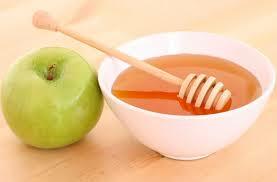 During Sukkot it is a mitzvah [sacred obligation] to waive the four species in the sukkah. 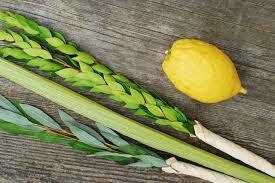 The four species are: lulav [palm frong], hadas [myrtle], arava [willow] and etrog [citron]. At the conclusion of the seventh day of Sukkot, the Reform Movement celebrates Sh'mini Atzeret [day of assembly] and Simchat Torah on the 22nd day of the Hebrew month of Tishrei. 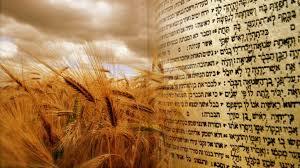 This holiday affirms Torah as one of the three foundations of Judaism: God, Torah and Israel. Many congregations unroll the entire scroll of Torah to read the final verses of the D'varim [Deuteronomy] and the opening verses of B'reshit [Genesis]. It is a time of joy and merriment. Hanukkah [which can also be spelled Chanukah] is the Hebrew word meaning "dedication." It is an eight-day celebration that commemorates the victory of the Maccabees over the armies of Syria in 165 BCE. 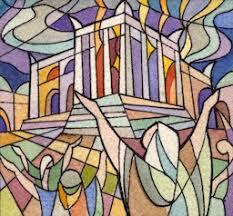 After the victory, the Jews rededicated the Temple in Jerusalem. The menorah or chanukiah used during the holiday has nine candles. Eight of the candles recall the miracle of a single cruse of oil lasting eight-days. The ninth candle is called the shamash or "helper" which lights the remaining candles. Jews celebrate Hanukkah at home and in the synagogue with prayers and foods fried in oil such as latkes [potato pancakes] and sufganiot [jelly donuts] and festive games with the dreidle [spinning top]. The four Hebrew letters on the dreidle are an acronym meaning, "A great miracle happened there." Tu BiSh'vat is Jewish Arbor Day. The holiday is observed on the 15th [tu] of the Hebrew month of Sh'vat which is early spring in Israel. In the 17th century, Jewish mystics created a ritual for celebrating Tu BiSh'vat with a ritual that is akin to a Passover seder. In Israel it is customary to plant trees and Jews around the world plant trees in honor of this special day which celebrates nature. Purim is a wonderful spring holidays that relates the story of the Jews in Persia [5th century BCE] found in the Book of Esther. 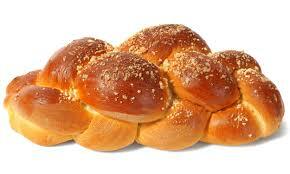 It is celebrated on the 14th day of the Hebrew month of Adar. 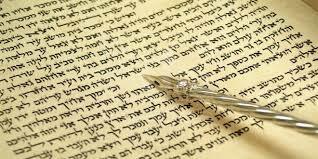 The narrative written in the M'gillah or Scroll of Esther is powerful – full of joy and irony. The heroine of the story is Esther, who becomes Queen of Persia and defends the Jews from the evil Haman's plot to destroy her people. It is customary to send Mishloach Manot, gifts to family, friends and those in need, filled with Hamentashen and other foods. Many communities have a Purim Speil or play recounting the story in costume and song. The festival of Pesach celebrates the Exodus of the Israelites from Egypt - the miraculous journey of the Jewish people from slavery to freedom. 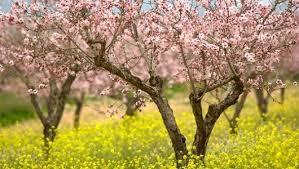 It begins on the 15th day of the Hebrew month of Nisan in springtime. The central theme of Passover is liberation, which is symbolized by Matzah, the unleavened bread. This simple food reminds us of the faith of the Israelites to follow Moses into the desert and partner with God at Mount Sinai. Jews throughout the world commemorate Pesach with a Seder [meaning "Order"], a meaningful ritual guided by the Hagaddah which "tells" the story of the Exodus. Many congregations open their doors for community Seders on the second evening of the festival. 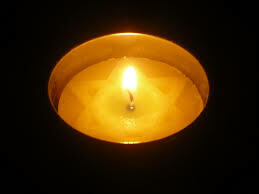 Yom HaShoah occurs on the 27th day of Nisan in the Hebrew calendar. Shoah refers to the atrocities that were committed against the Jewish people during World War II. This is a solemn day of memory for those who died in the Holocaust. The word Shoah is derived from the Greek word meaning "sacrifice by fire." The day is marked by somber observances throughout the world. Since the establishment of the State of Israel, four new holidays have been added to the Jewish calendar - Yom HaShoah [Holocaust Remembrance Day], Yom HaZikaron [Memorial Day], Yom HaAtzmaut [Independence Day] and Yom Yerushalayim [Jerusalem Day]. In Israel, all of these holidays are observed as national holidays. 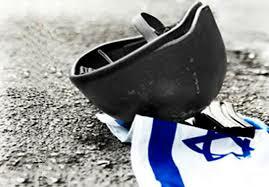 The Israeli Knesset [Parliament] established the day before Yom HaAtzmaut as Yom HaZikaron as a Memorial Day for soldiers who lost their lives fighting in the War of Independence and in subsequent battles. 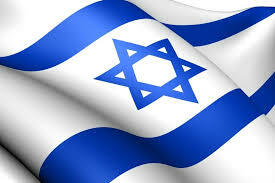 Yom HaAtzmaut marks the establishment of the State of Israel in 1948. This day of celebration is observed on or near the 5th day of Iyar in the Hebrew calendar. Israel's national anthem is HaTikvah [The Hope], which recognizes that Jewish sovereignty in the land of Israel has been the now realized hope of 2,000 years. 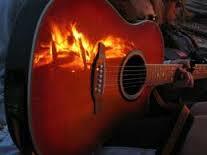 Lag BaOmer is a festive minor holiday celebrated during the seven weeks between Pesach [Passover] and Shavuot [Weeks]. It occurs during a period of time known as the Omer. The omer is an ancient Hebrew measure of grain. Lag BaOmer is a shorthand way of saying the "33rd day of the Omer." Jewish communities the holiday celebrate with campfires, picnics and games. The festival of Shavuot celebrates the giving of the Torah at Mount Sinai. It occurs seven weeks after Passover and culminates a 50-day period of counting called S'firat HaOmer [Counting of the Omer or grain offering]. It was originally an agricultural festival that recognized the end of the spring barley harvest. It was one of the three pilgrimage festivals during biblical times, alongside Sukkot [Festival of Booths] and Pesach [Festival of Passover]. Today it honors the gift of Torah and Jewish education. Tisha B'Av is observed on the 9th [tisha] day of the Hebrew month of Av. This day is set aside to remember and mourn the destruction of both ancient Temples in Jerusalem. In contrast to traditional streams of Judaism, liberal Judaism never has assigned a central religious role to the ancient Temple. In modern times, Jews understand Tisha B'Av as a day to recall the many tragedies that have befallen the Jewish people throughout history. Traditionally, Tishah B'Av is the darkest of all days, a time set aside for fasting and reflection. In the synagogue, the Book of Lamentations is chanted alongside kinot [mournful prayers] composed during the Middle Ages. Many traditional Jews refrain from holding weddings, festive celebrations or cutting their hair in the three weeks before Tisha B’Av. Today, Tisha B’Av stands as a day to reflect on the suffering that still occurs in our world.